Today marks the start of Open Education Week, the global celebration of the Open Education movement. Last year my OER Service colleagues and I didn’t participate in Open Education Week as it coincided with the USS Strike so this year, we’re making up for lost time and we’ve got a whole pile of activities and events lined up. We’ve published our latest Open.Ed newsletter to coincide with Open Education Week and to highlight events we’ll be running over the course of the week, along with other open activities and initiatives going on around the University. You can read the latest edition of the newsletter here: Welcome to the OER Service’s Spring Newsletter, and find back issues of the newsletter here Open.Ed Newsletter. Over the course of the week, the Open.Ed Blog will be featuring a series of posts from students, staff, and open education practitioners from across the University of Edinburgh, covering a wide range of topics including Masters level OER assignments, Wikipedia and Translation Studies, tools for creating OERs, and much more. The series kicks off today with one post by me on Sustainable Support for OER and another by Jen Ross on Digital Futures for Learning: An OER assignment. On Tuesday 5 March at 12.00-13.00, the OER Service will be hosting a free and informal lunchtime webinar during which we’ll be sharing our approaches to supporting Open Education and Open Knowledge at the University of Edinburgh. Come and join me, Stuart Nicol (Education Design and Engagement), Ewan McAndrew (Wikimedian in Residence), Charlie Farley (OER Service), Rachael Mfoafo (EDE) and Anne-Marie Scott (DLAM) to talk about supporting open education through digital skills development, playful approaches to copyright literacy, embedding Wikipedia in the curriculum, and open approaches to MOOCs and distance learning at scale. The webinar is free and open to all, joining details are available here. This one-hour workshop on Tuesday 6 March at 12.00 – 13.00 will explore what it means to decolonise and diversify the curriculum with EUSA VP of Education Diva Mukherji. My lovely OER Service colleague Charlie Farley will also demonstrate how creating, using, and sharing OER can be one avenue towards diversifying and opening up curriculum materials. The workshop is open to University of Edinburgh staff and students, further information is available here. And of course I’ll be blogging and tweeting on the #OEWeek hashtag and hoping to catch some of the other fabulous activities going on over the course of the week too. This entry was posted in Professional and tagged Blogging, higher education, oer, OEweek, university of edinburgh on 4 March, 2019 by Open World. Last week I taught the third run of our Blogging to Build your Professional Profile workshop and also had the pleasure of joining a lunchtime call with colleagues from ALT to talk about different approaches to team blogging. Something that struck me is that whenever I talk about blogging there are a number of issues that come up repeatedly, regardless of whether the people I’m talking to are experienced bloggers or whether they’re dipping their toe in the water for the first time. And all these issues relate broadly to anxiety. Even among experienced bloggers there can be a lingering feeling that blogs are really just a bit of a vanity project, a space to show off and blow your own trumpet, and well, it’s all just a little bit undignified really. I find this a bit odd because as academics and professionals we are already expected to disseminate our work broadly, through scholarly publications, professional papers, and academic and industry conferences. I think the difference with blogs is that they exist outwith the traditional academic sphere of acceptance and control. By and large, we control our own blogs; we control what we post, when we post, and who we choose to share with. I’d argue that far from being a vanity project, blogs are an invaluable way to facilitate reflective practice, and to empower colleagues to curate their own professional and academic portfolios and identities. If you need to be convinced about the benefits of academic blogging have a look at some of the great blogs that are linked on our Academic Blogging SPLOT and hosted on the University of Edinburgh’s new blogs.ed.ac.uk service. Once you get used to blogging it’s easy to forget just how terrifying it can be to hit that little blue Publish button if you’re not used to putting your words out there. This is particularly true if you’re writing blog posts that are in any way personal or reflective. Even experienced academic and professional writers can suffer from this kind of anxiety. When we write academic papers or professional reports we generally abide by certain writing standards and conventions, which arguably place a degree of distance between ourselves and our words. When we write personal reflective posts, the buffer provided by these conventions disappears. Sharing a part of ourselves online can be a lot scarier than sharing our papers and reports. I’ve blogged for years but I still feel a little anxious when I publish something that’s a bit more personal, a bit more political, a bit closer to the bone than usual. In my experience it’s really worth it though, the response I’ve had on the odd occasions I have published more personal posts has been incredibly supportive and up-lifting. Few pieces of writing have terrified me more than Shouting From The Heart, but the response to that piece from colleagues was overwhelming. 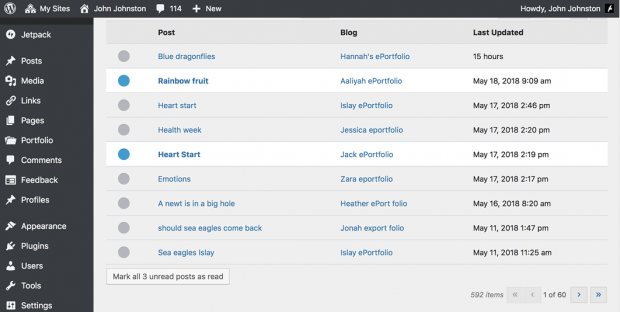 Another issue that often comes up is what if my blog posts aren’t good enough? What if my ideas aren’t fully formed? What if I post something embarrassingly bad? What if I regret it later? Perfectionism is one of the main stumbling blogs that often prevents people from taking up blogging, particularly in a domain like academia where imposter syndrome is rife. When we all set such ridiculously high standards for ourselves, it can be really difficult to put anything out there that is less than perfect, and the result of course is that we end up posting nothing. However the real beauty of blogs is that they are ideally suited to letting you develop your ideas and think aloud. Blog posts don’t have to be perfect, they don’t have to be fully formed, and if there are one or two typos, well, it’s really not the end of the world, you can always go back and edit later. Some of my favourite blogs are ones where I can see colleagues thinking through their ideas. Maren Deepwell, Melissa Highton, Sheila MacNeill, Anne-Marie Scott and Martin Weller’s blogs are all great examples of this. My advice if you’re struggling with perfectionism is to start out by blogging in private. Lots of bloggers keep both public and private blogs and that’s just fine. Blogging, like any form of writing, is 90% practice and hopefully as your confidence in your writing grows, you’ll find it’ll be easier to start sharing your posts in public. So that happens once you’ve written your first blog post, taken a deep breath, hit the little blue button, and sent it off into the big world wide web? Quite often what happens is…nothing. Nada. Crickets. Tumbleweed. New bloggers are often anxious about getting lots of negative comments on their posts, but to be honest, it’s far more common to get no comments at all. 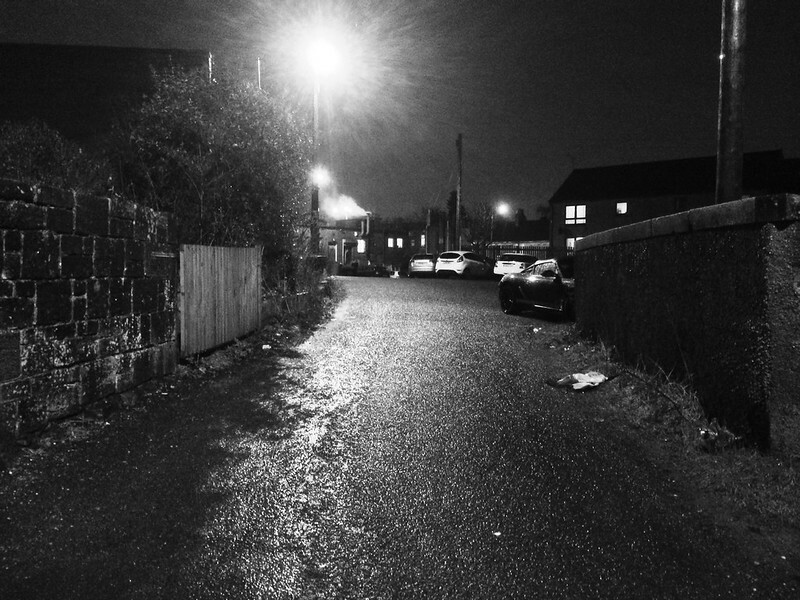 Seriously, have a look at my blog, the vast majority of posts don’t have a single comment. That doesn’t mean that no one is engaging with them though, whenever I write a blog post, I post a link on twitter and that’s where the conversation happens, if it’s going to happen at all, because that’s where my community of open education practitioners is. Many of my posts still pass under the radar though, and there’s no denying that it can be discouraging to post a lovingly crafted piece of writing, particularly one you’ve invested a lot of time and effort into, and it receives no engagement at all. This can be heightened by the odd sense of loss all writers sometimes feel when they let go of a piece of writing. One way to address this is to be strategic about how and when you post. There’s a lot of advice and guidance available online that will tell you when the optimal time to post is and how to use analytics to track the impact of your writing, however I’d caution against getting too caught up in tracking clicks and likes and comments. Online engagement can be fickle and it’s often hard to predict which posts will get lots of attention and which will sink without a trace. Don’t judge the value of your writing on the basis of social media likes; posts that get a lot of attention aren’t necessarily the “best” posts, and vice versa. My approach to counteracting post-publication (post-posting?) blues is to try and write for myself first and foremost. That might sound trite, but it’s still good advice. I’m a great believer in the benefits of writing as a personal reflective practice. If other people engage with what I write, that’s a bonus, but if not, it doesn’t matter, because I’ve still benefited from the process of writing. Don’t feel too dispirited if you don’t get much engagement on your blog, try to enjoy the process of thinking and writing for yourself. But if you do want feedback and engagement, don’t be afraid to reach out; find out where your people are, share your posts with them there, ask colleagues for comments and input, most will be only too happy to oblige. Maren wrote a brilliant post on the creative process of blogging after our talk last week and I can highly recommend it if you’re looking for inspiration: Blogging is my sketchbook: reflecting on the creative process and open practice. This entry was posted in Professional and tagged Blogging, OpenEdFeed on 31 January, 2019 by Open World. The first piece is by Mark Ensor, and it’s about parts of teaching which are not seen, but happen all the time in a reflective classroom. The piece discusses lesson observations at one point. I’ve had a few of those and I wouldn’t rate them highly as something that has improved my teaching. The things that have improved my teaching are reading websites, tweets and books, high quality training and casual observations and chat with the wonderful folk I’ve been lucky enough to work with. Here is teacherhead revisiting Dylan Wiliam’s formative assessment strategies. When I’ve heard or read Dylan, it is a good reminder that his key principles of formative assessment have become many things to many people. He doesn’t think all of them are a good fit with his initial ideas. If you’re wanting some podcasts for the new year based on education Third Space has this list. I’m very interested in the use of retrieval practice to secure pupil learning and I’m always looking for ways to use it in class. Here is one teacher’s ideas. And here are some more ideas of how we can use recall in class. A simple sketchnote to help develop depth in questioning from Impact Wales. And another one. This entry was posted in Professional and tagged AifL, Blogging, CPD, Formative Assessment, Observations, Professional Reading, reading, recall, Reflection, retrieval, weeknotes on 13 January, 2019 by Robert Drummond. This entry was posted in Professional and tagged Blogging, Classroom, Micro, Twitter, wwwd on 1 January, 2019 by john. an informal outlet, blogs allow you to experiment with different writing styles and voices, enabling you to find a tone that is right for you. 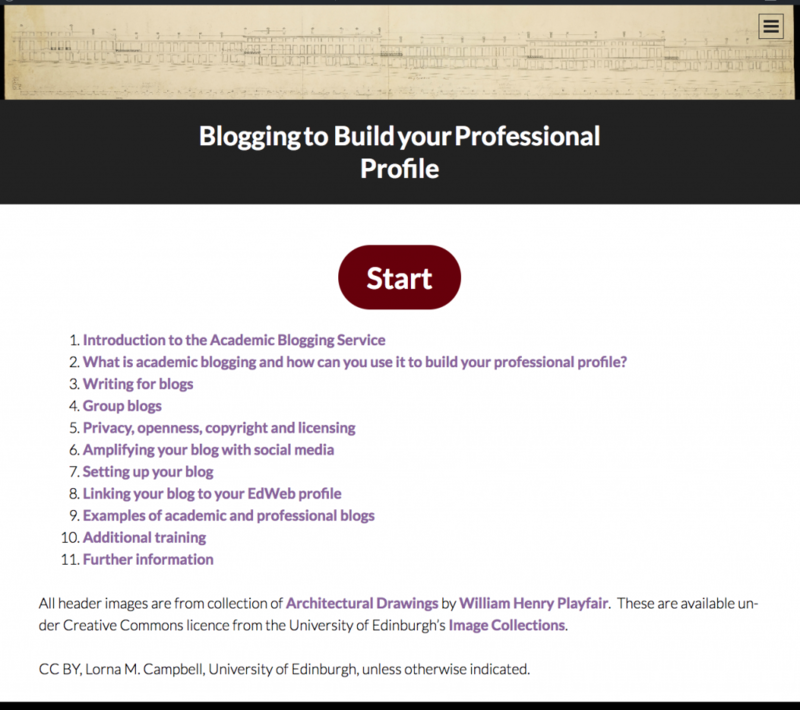 What is academic blogging and how can you use it to build your professional profile?. There are many other good reasons that would apply inside and outside academia in this post/presentation. Lorna is drinking her own blogwater with @cogdog‘s WordPress presentation splot too. This entry was posted in Professional and tagged Blogging, Lorna Campbell, Micro, splot, WordPress, wwwd on 14 November, 2018 by john. I’ve been blogging for more years than I care to count and my blog has been hugely important in supporting my career and my professional practice. So much so, that I reflected on the significance of my blog in my CMALT portfolio, which is also hosted here, and I presented about Using WordPress to build an online academic identity at last year’s PressED Conference. So I was really pleased to be asked to develop a new digital skills training workshop on Blogging to Build Your Professional Profile to support colleagues at the University. Because we like to practice what we preach, I’ve created all the workshop resources on a WordPress blog running the SPLOT theme developed by Alan Levine. The SPLOT was Anne-Marie’s idea. I’ve been a fan of SPLOTs for a while but this is the first time I’ve used one and I think it’s the ideal format for presenting online resources like this. The workshop covers using blogs to build your professional profile, writing for blogs, group and syndicated blogs, privacy, openness, copyright and licensing, and amplifying your blog with social media. It also includes practical guidance on setting up a blog on the new blogs.ed.ac.uk service, provides links to additional training courses running by the University, and examples of some fabulous professional blogs to provide inspiration. There’s far too much material here to cover in a one hour workshop, but the beauty of the SPLOT format is that workshop participants can access all the course materials at a single URL, work through them at their leisure, and refer back to them as needs be. And because we believe in spreading the love and supporting OER and open practice, all the workshop materials are CC BY licensed so you’re welcome to take them away and adapt and re-use them. All the lovely header images are from a collection of Architectural Drawings by William Henry Playfair, and they’re available under CC licence from the University of Edinburgh’s Image Collections. If you’ve got any comments or feedback on these resources I’d love to hear your thoughts! This entry was posted in Professional and tagged Blogging, higher education, oer, open practice, OpenEdFeed, university of edinburgh on 12 November, 2018 by Open World. Isn’t it sad when the only way for teachers to make a fair wage is by selling themselves and their work on Instagram. The linked post: Teachers Are Moonlighting As Instagram Influencers To Make Ends Meet and the thread on @audreywatters’s tweet are fascinating. I think of instagram as a nice silo for sharing and liking photos in a casual way (I like being liked too). It went bad when it removed the ‘time’ from the timeline. (I don’t like its lack of interoperability much either). I don’t think I follow any influencers so this is a world outside my ken. The idea of using instagram as a way of showing a shiny classroom has some of the same problems at tweeting to my mind. Not that my blogging is a great example of sharing classroom practise. I am not sure about the Teachers Pay Teachers, concept. I feel a slight distaste, but am not sure why. This entry was posted in Professional and tagged Aaron Davis, audrey watters, Blogging, Instagram, Micro, Twitter, wwwd on 2 September, 2018 by john. Based on Post Formats Formats_in_a_Child_Theme in the WordPress Codex. Standard Format is formatless, so you just add the ones you want in addition. Secondly; I’ve moved the quote and content generated from the Post Kinds plugin to below the post. This is in the Post Kinds setting so was simple. Having them above my remarks meant that the quote was going to micro.blog and twitter rather than my comment. I hope to have a bit more time over the summer holidays to rethink and rewire the blog. Some of the decisions I’ve made were perhaps not the best. Most of the functions that have do with micro.blog and microblogging that live in my child theme’s functions.php in a gist. This entry was posted in Professional and tagged Blogging, Indieweb, Micro, microblogging, post kinds plugin, WordPress, wwwd on 23 June, 2018 by john. The Glow blogs reader allows you to ‘follow’ a number of Glow Blogs. In following blogs you will be able to see which of these blogs has been updated in your dashboard rather than have to visit each site to check for updates. Useful because 1. it allows you to follow private blogs which an RSS Reader will not and 2. For teachers unfamiliar with RSS and readers it will be a lot simpler. It doesn’t have the facility to mark off or record posts that you have commented on which is of interest to Aaron. This entry was posted in Professional and tagged Aaron Davis, Blogging, commenting, glowblogs, Micro, wwwd on 28 May, 2018 by john.